Join Jamie and explore all feather forms including traditional, non-traditional, and stylized. Then discover how to use these options in allovers, and any custom shapes you run into in your client and personal quilts. This class is exclusively dedicated to feather work. If you’ve wanted to learn and apply a myriad of new, as well as classic feather styles, then this is the class for you! This class applies to all levels of Long-arm, Mid-arm, Short-arm or Hand Quilters. 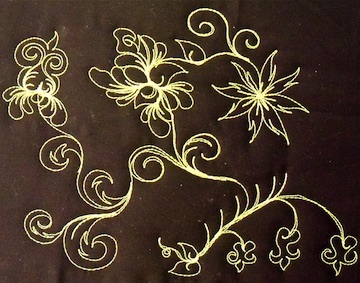 Quilters can find as much diversity in surface quilting with florals as there is with feathers. “Mystical Florals” covers florals, leaves, and vine variations that will make your quilts take root in creativity. You will learn a myriad of designs using these elements for your customer and personal quilting and apply them to edge-to-edge, custom blocks, border, and sash designs. 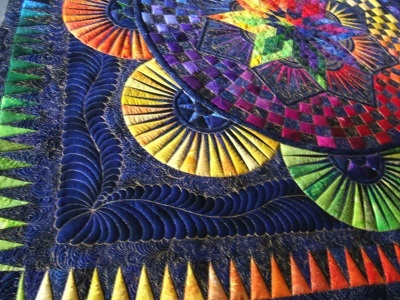 This class applies to all levels of Long-arm, Mid-arm, Short-arm or Hand Quilters. This Class covers Exciting new designs with the focus on Jamie’s incredible Point-to-Point “Mystical Grid Designs”. You will learn a myriad of designs using these elements for your Customer and personal surface quilting and apply them to Edge to Edge, Customized Blocks, Borders and Sash Designs to speed up your earning potential while making your surface quilting stand above the rest. 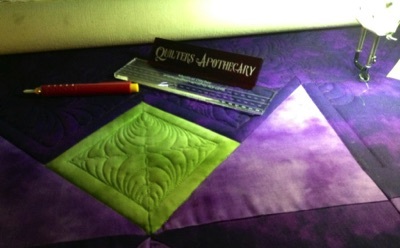 This class applies to all levels of Long-arm, Mid-arm, Short-arm or Hand Quilters. 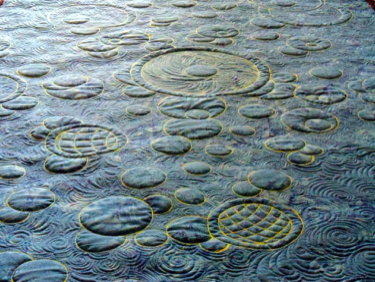 Whether you are a traditional or modern quilter, join Jamie as he steps into the world of “Mystical Shapes”. Breathe new life into your surface quilting with a new twist on the common shapes found on our quilts along with taking it to the next level with paisleys, orbs, curved cross hatching , jacobean designs and more. These designs will have you looking at E2E, Blocks and Borders in a whole new way. 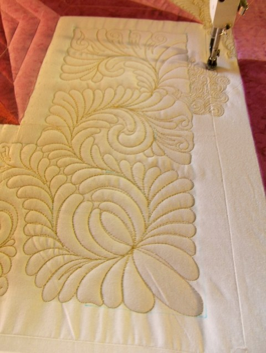 This class applies to all levels of Long-arm, Mid-arm, Short-arm or Hand Quilters. This Feathers Class takes the frond and spine to the next level. Join Jamie as he teaches advanced Blocks, Sashes, Borders and more. He will also show you the new evolution in Feathers. Be prepared to leave your comfort zone and evolve with quiltings best loved motif. 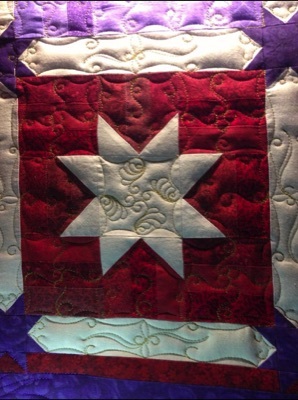 This class applies to all levels of Long-arm, Mid-arm, Short-arm or Hand Quilters. Come prepared to learn a mouth-watering array of techniques and designs that will make your projects sing. In this class we will uncover exciting new textures and apply them to new set-ins, borders, blocks, and allovers. Participants will also learn “Outrageous fillers” to showcase these Unearthly Delights. Dragonflies, Lacey Hearts and so much more. Come experience the concept of “Threadfusion. 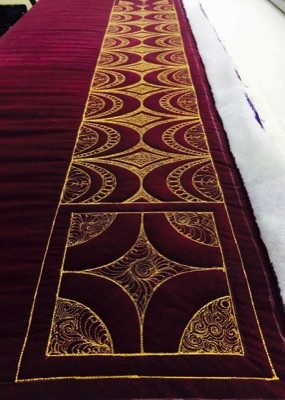 "This class applies to all levels of Long-arm, Mid-arm, Short-arm or Hand Quilters. In this special portrait instruction class Jamie will cover using inks, special markers and or colored pencils to complete a “Photo Realistic” base portrait for use in your special Art Portrait Quilt. 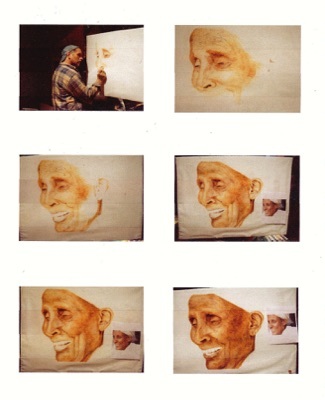 Students will learn how to visually give their pieces Depth and Realism. Even if you are not an artist or are intimidated by the thought of creating a likeness of the familiar this class will cover how to make you look like an expert. In class we will learn; Skin Texture, fur, hair, glass and more as you work on your own base portrait kit you choose at the start of class. Jamie will provide his supplies for use IN class. Join Jamie as he demonstrates his favorite rulers. From basic to more specific applications he will show you how to put those handy tools to work and save time. As a bonus Jamie will show you his method of turning almost any design into a stencil on the fly. 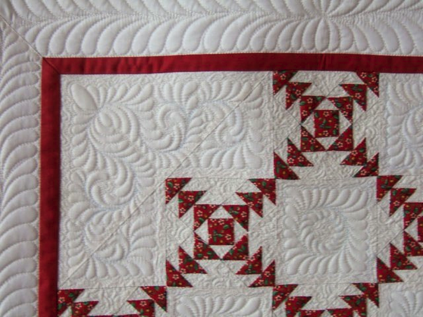 Blocks and Borders are present in almost all of our quilts and often time give us the most trouble. Jamie will take on borders and blocks and show you his way to divide and conquer our everyday foe. You will learn to use all of Jamie’s tricks, from no math layout to time saving ruler work that will take your confidence and quilting to the next level. This class applies to all levels of Long-arm, Mid-arm, Short-arm and home machine users.